It’s championship week in spring sports, with gold trophies being handed out in baseball, softball, track and field and girls golf. A couple of championship trophies have been handed out in 3A spring sports (Juan Diego now possesses the boys tennis and boys soccer crowns), with the rest of the spring sports finishing up by Saturday evening. Of the four teams in the championship bracket, one was expected, one is a mild surprise and two are complete stunners. Defending champ Pine View had no problem with its playoff pod, 10-running a pair of opponents. Canyon View, meanwhile, the Region 12 champion, was able to get past Desert Hills and advance. Coach Jason Jacobsen runs a good program and has a senior-laden team of players. And then there’s the other two quarterfinalists. Carbon placed third in Region 12 with a 6-6 record and the Dinos are 12-11 overall. Carbon lost games this season to Tooele (2-16) and North Sanpete (3-18). 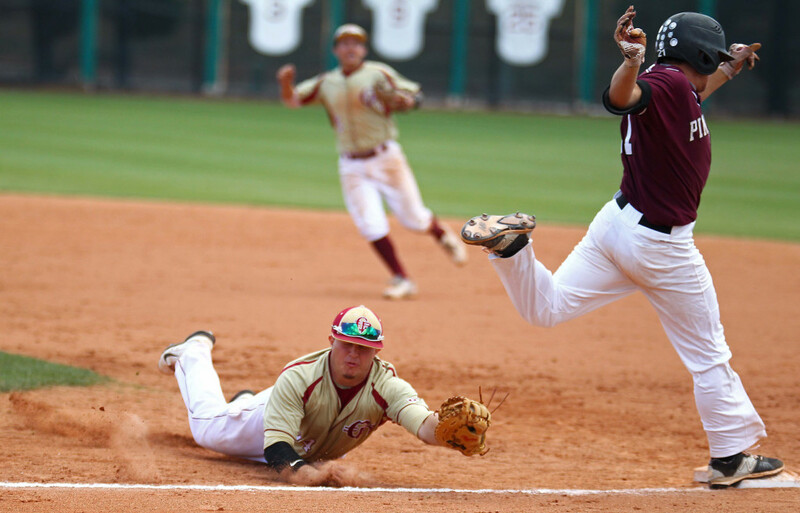 Going into their Juan Diego playoff pod, the Dinos were surrendering 6.1 runs per game this season. But in 21 innings of baseball, Carbon only allowed five runs (an average of 1.67 per seven innings). The Dinos beat No. 2-seed Park City 3-2 in 14 innings, then jumped on a bus from Draper to Pleasant Grove and beat the Cedar Redmen 4-3. Carbon plays Pine View at 11 a.m. at Gates Field at Kearns High School. As amazing as the Dinos’ run was, the Richfield Wildcats were perhaps even more impressive. Richfield went into the playoff pod at Stansbury with an 11-11 record and had been ice cold in the last couple of weeks of the season. The Wildcats had lost four of their last five games and 8 of 11 dating back to mid-April. Of course, none of that matters now as Richfield swept Stansbury (6-5) and Dixie (4-3 in eight innings) to advance to the quarters. The Wildcats play Canyon View at 1:30 p.m. at Gates Field. The three other Region 9 teams that made the playoffs are still alive, but have a lot of work to do to make it to Saturday’s championship. Desert Hills, Dixie and Cedar are all in the one-loss bracket, meaning they can’t lose again. To complicate matters, if Dixie and Desert Hills both win their early games Thursday (DH battles Juan Diego at 11 a.m. at Salt Lake Community College and Dixie faces Grantsville at 11 a.m. at Granger High School), they play each other at 4:30 p.m. That means only one of those two St. George teams can survive to play on Friday. Cedar plays at 1:30 p.m. in an elimination game as well. The Redmen battle Logan and hope to emerge to play in a 7 p.m. game Thursday night. 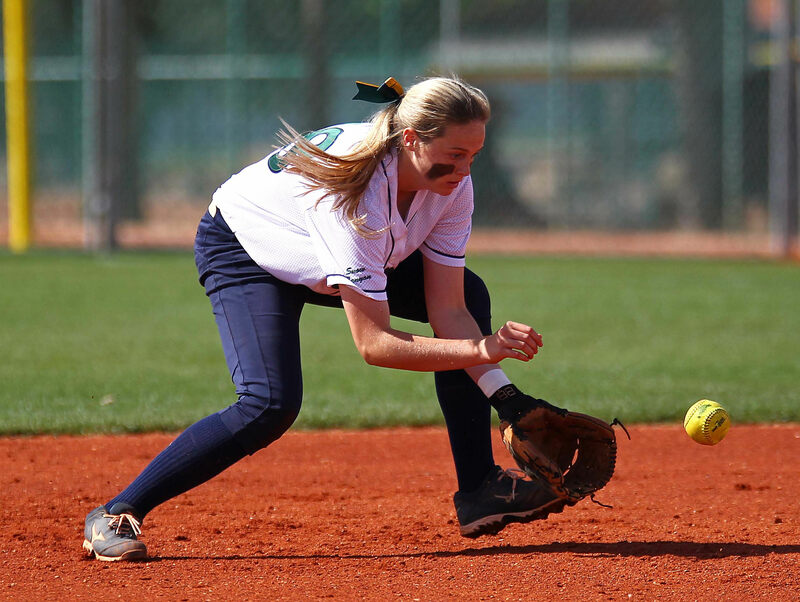 Snow Canyon and Cedar are the remaining survivors from Region 9 in the softball state tourney, which is being played at Valley Softball Complex in Taylorsville. The region-champion Lady Warriors are 15-3, but have not had great success at the state tournament in recent years. SC battles Stansbury at 2 p.m. Thursday. A win would move them into Friday’s quarterfinals at 10 a.m. If SC loses to the Stallions, it would play at 4:15 p.m. against North Sanpete in an elimination game. The Lady Reds are also sitting pretty, having won their first game last Saturday. Cedar will square off against No. 1 Grantsville at 2 p.m. at Valley Complex. If the Lady Reds win, they’ll move to the quarterfinals Friday at 10 a.m. A loss would send them to an elimination game Thursday at 4:15 against Carbon. 3A Semifinal is Friday at 3 p.m.
A year ago, Desert Hills survived a cool, rainy Robison Field at BYU to take both the girls and boys state titles. 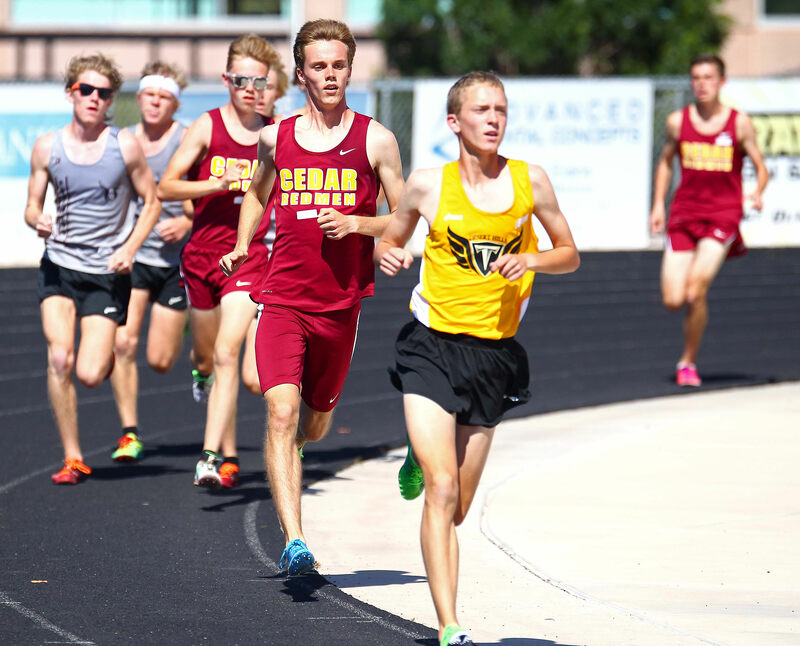 The Thunder boys are favored to win again, with DH’s girls in the hunt with Cedar and other contenders as the state track meet takes place Friday and Saturday at BYU. Last season, Desert Hills took both team titles and neither was close. The boys won with 171 points — a new state team record. The girls scored 99 points, nearly 40 points ahead of second-place Cedar. For the Thunder boys, it was the third straight team title under coach Dace Goulding. Desert Hills also heads into the state meet with another Region 9 title under its belt after winning last weekend. Some of the studs to watch this weekend for DH are sprinter Bradley Early, distance runner Jaiden Melendrez, javelin thrower Nick Warmsley and shot putter Justice Alo. Cedar won the girls region title last week, as it did last season. The Lady Reds have a whole slew of top competitors to watch, including sisters Julia and Rachel Hunt in the sprints and Kaylee Carter in the javelin and hurdles. Another girls athlete to keep an eye on is Starlee Woodbury from Dixie. She excels in the sprints, hurdles and jumping events. The state track and field meet begins Friday morning at Robison Field and finishes up early in the evening on Saturday. Desert Hills coach Laurie Dyer has created a dynasty at the school. 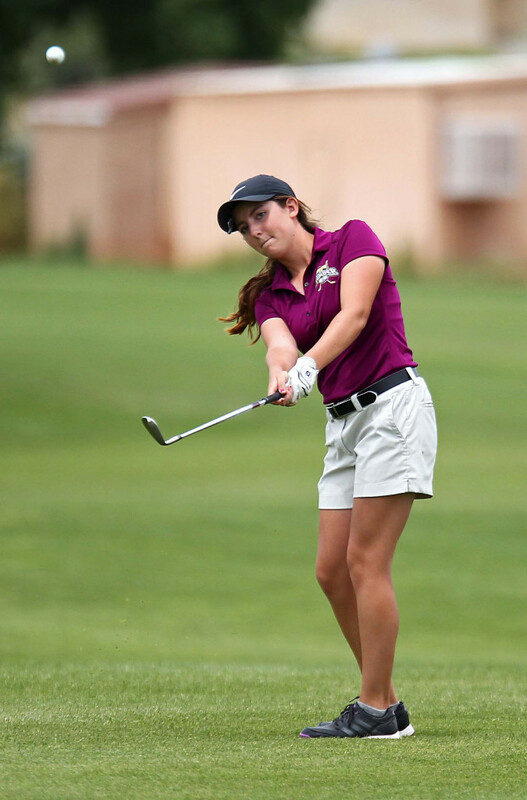 The Lady Thunder have brought home six straight titles and are favored to get a seventh today and Thursday at Soldier Hollow Golf Course in Midway (near Heber City). Kyla Smith leads the charge for Desert Hills. She’s led the team to multiple victories this year and took top medalist honors in the region season-finale last week at Sunriver Golf Club. Though D-Hills lost three-time state champion Katie Perkins to graduation, the real key has been depth for Dyer. The Thunder routinely placed its top five golfers in the top 10 during region play. Other golfers to watch for include Gracie Richens and Mikayla Frei of Dixie, Lexi Hamel of Snow Canyon and Taylor Bandley of Pine View. Bandley lost in a playoff to Perkins at last year’s state tournament. Snow Canyon will square off with Herriman for the state rugby title Saturday night. 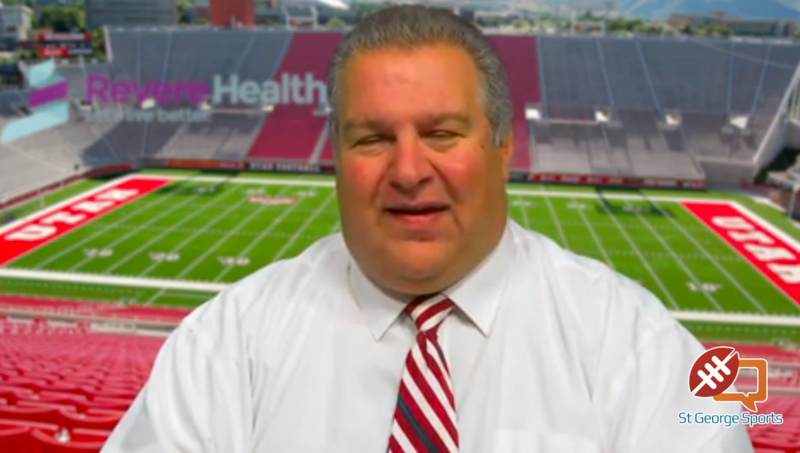 The varsity single-school Division I championship will be played at the Salt Lake City Regional Athletic Complex, just east of Salt Lake International Airport. The Warriors are the two-time defending state champs, beating Herriman last season and defeating East in 2014.